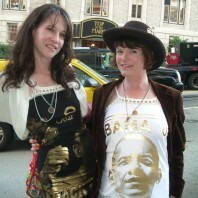 Time to bust out my old Obama dress created by my San Franciscan friend Cynthia Lloyd. We strutted the two models out after the great man’s ’08 win and raised a glass to his first term at that most spectacular of bars ‘Top of the Mark’ on Nobb Hill. It was the crowning moment of a trip that had taken in some of San Fran’s craziest events including the Love Parade, Castro Street Fair and Folsom Street Fair, each one celebrating a different aspect of life in this most groovy of all cities. 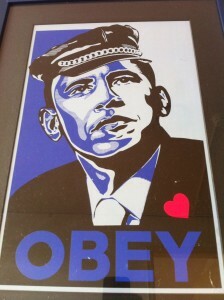 At Folsom I picked up another bit of cherished Obama memorabilia; a poster by Shepard Fairey of Obama in leather mode. A guy was flogging them off for $10 each so I snaffled one and stuck it in my cowboy boot. After a whole day of dancing in the streets I was amazed that it survived intact. I now have it framed on the wall as a reminder of that hilarious day and am delighted that it remains as relevant now as it was then. 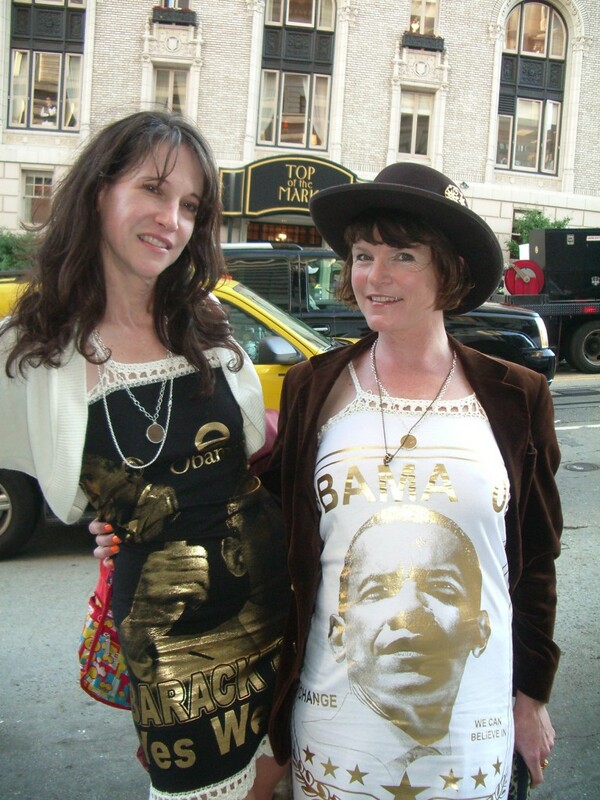 GObama!